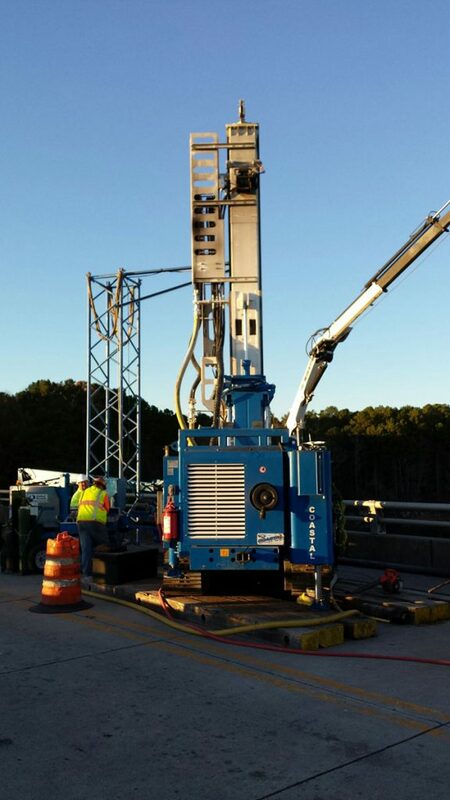 The project required drilling two 8” diameter holes for the installation of new waterstops between the selected monolith joints within the dam structure. The holes were required to precisely follow the vertical joints between the monoliths and to deviate no more than 2” in any direction at any depth. 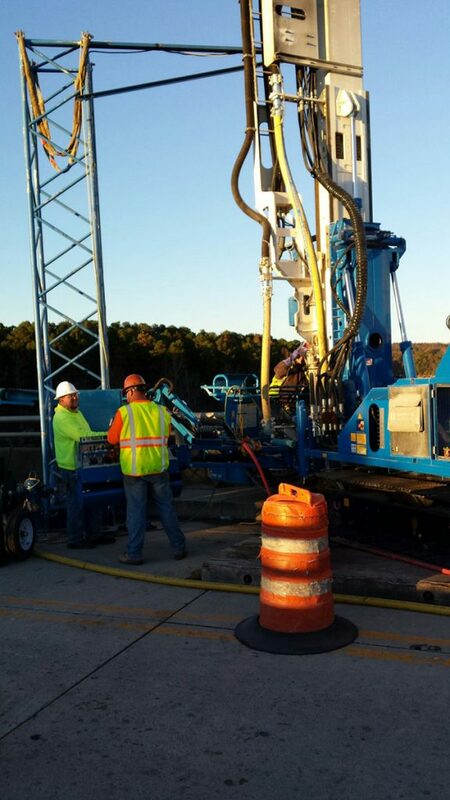 Coastal Drilling utilized proprietary real-time optical guidance and verification directional drilling technology to complete the work. To properly repair and remediate the failing existing waterstops between the monolith joints, the drilled hole that would receive the new joint seal was required to straddle the existing joint as closely as possible. Conventional drilling techniques require the drill tooling to be removed from drilled hole at several intervals to confirm that the drilled hole is following the existing joint through a downhole camera inspection. 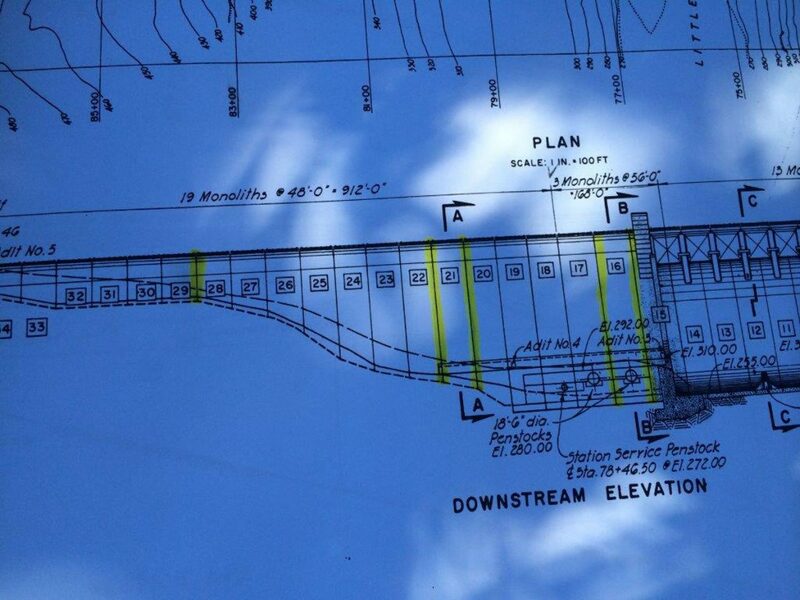 Coastal Drilling’s real-time optical guidance and verification directional drilling technology eliminates this requirement since the drill operator knows the position of the drill bit within the drilled hole at all times. 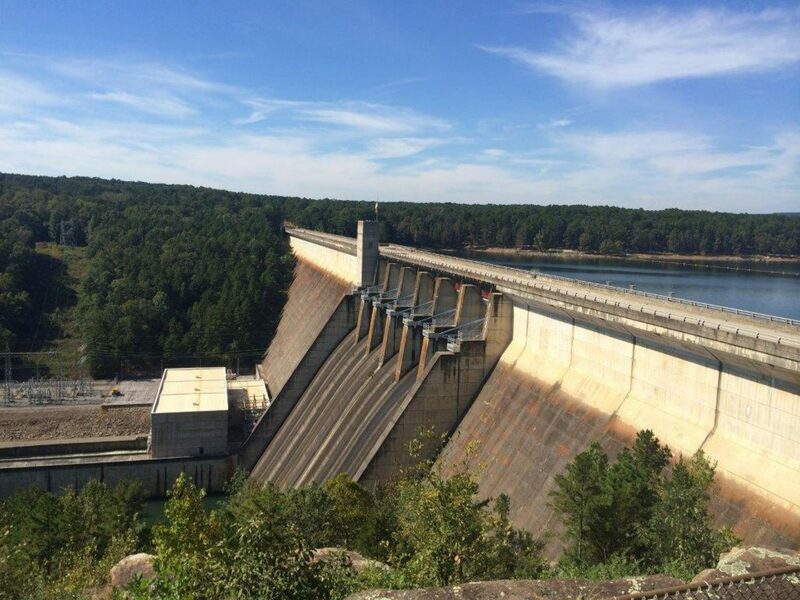 The Tennessee Valley Authority (TVA) operates many locks and dams throughout the southern US that are beginning to show signs of their age. Failure of the existing waterstops require replacement or remediation through precision drilling, installation, inspection, and testing. initial directionally drilled pilot hole. 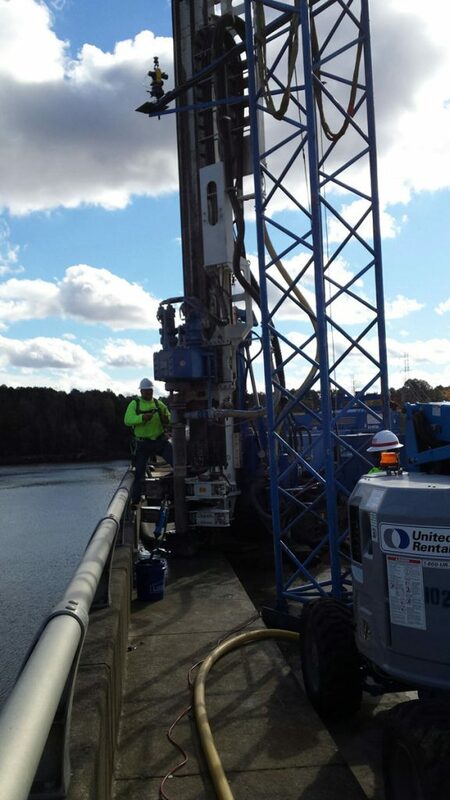 Coastal Drilling was asked by the Tennessee Valley Authority (TVA) to drill two 8” diameter boreholes for the installation of remedial waterstops between monoliths 21/22, and 28/29. The boreholes were required to precisely follow the vertical joints between the monoliths and to deviate no more than 2” in any direction at any depth. 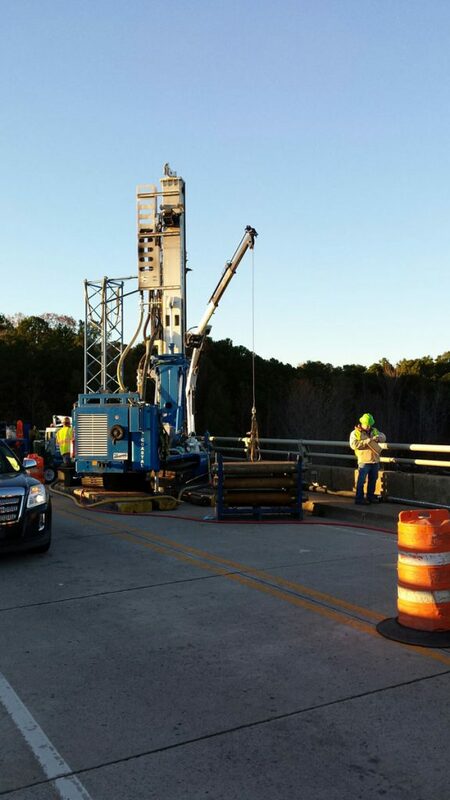 Due to the specific requirements of the TVA, Coastal elected to utilize its precision real-time directional guidance and optical verification drilling technology to complete the work. 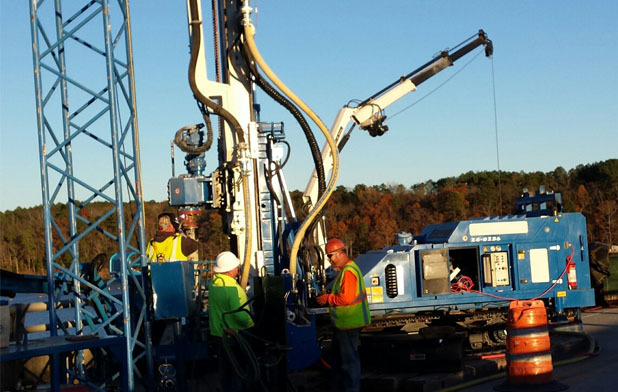 Utilizing the real-time optical guidance and verification directional drilling technology, the 8” hole for 28/29 was advanced to a depth of 65 feet and hole 21/22 was advanced to a depth of 200 feet. The final deviation for each hole was 0.11-inches and 0.17-inches respectively. 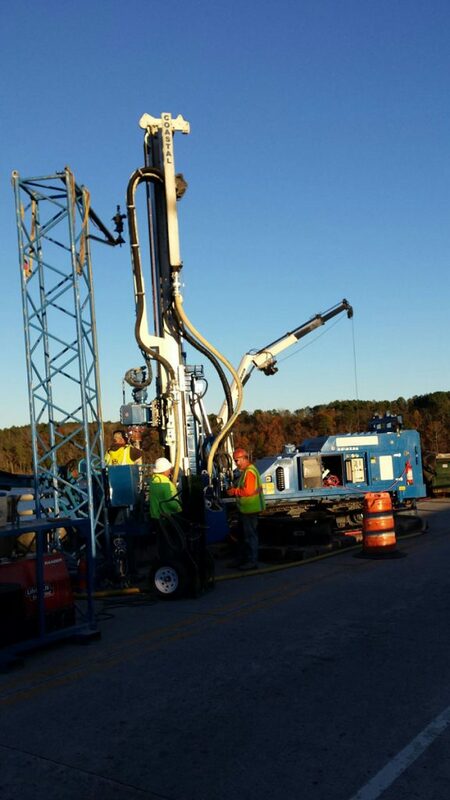 Following the completion of drilling, each borehole was cleaned and a downhole closed circuit camera system was used to perform an inspection of the existing concrete sidewalls. Anomalies and defects discovered as result of the camera inspection were repaired by injecting a neat cement grout mixture and re-drilling the hole. This removed any large voids or honeycombing in the existing concrete sidewalls resulting in a smooth surface suitable for the installation and long-term performance of the waterstop.